All images may be copied or printed but it is expressly forbidden to include them in or link them to, any other websites. This first version is only the metro map. 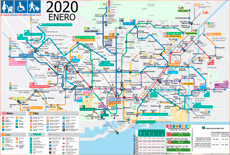 We also have the Barcelona metro map in PDF (0.8 MB) and PDF in high resolution (8,3MB). This second version includes the metro stops which are adapted for the disabled, baby strollers, passengers with luggage, etc; as well as those which only have stairs and are a nuisance for the passengers. We also have a PDF version of the Barcelona metro map (adapted stations version) in PDF (0.8 MB) and in PDF in high resolution (9,1MB). 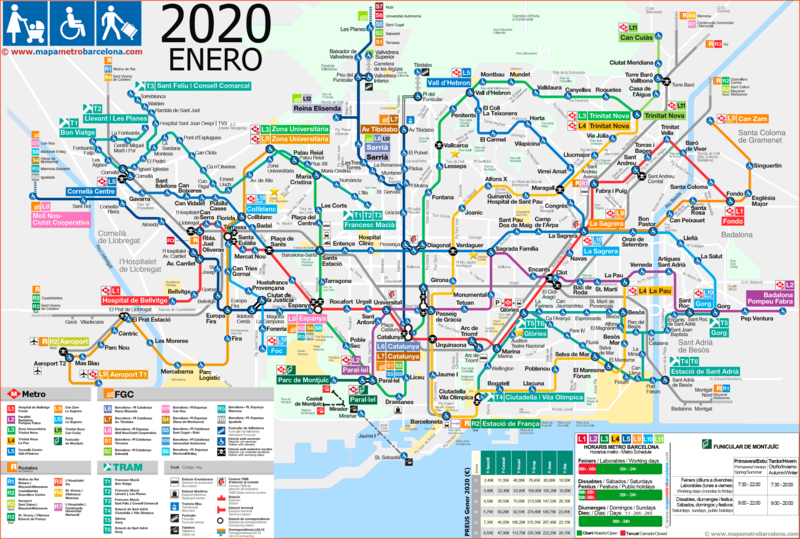 Simple Barcelona metro map in PDF (1,9 MB) and PDF in high resolution (8,3MB). We also have another fourth map created by us: "the tourist map of Barcelona". 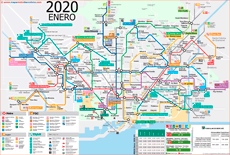 Simple Barcelona metro map in PDF (2,1 MB) and PDF high resolution (8,3MB). RECOMMENDATION: In the web of TicketBar, you can save up to 20% on some tickets such as the Tourist Bus, Zoo, Cable Car, etc. In general you can buy these tickets online and you save queuing (skip the line). The above map of Barcelona is Zone 1, also including Barcelona airport. 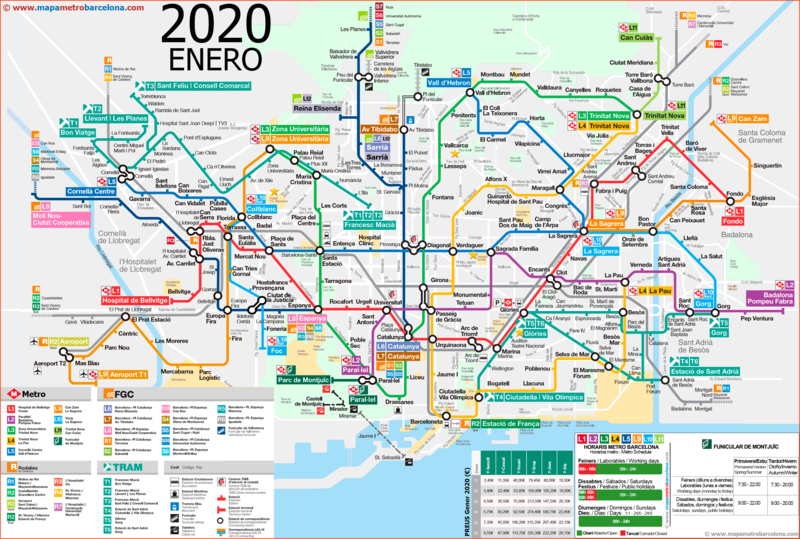 If you wish to travel outside the city of Bcn (for example, Manresa, Terrassa, etc) the price of transport tickets is more expensive, depending on the area you are traveling to. You can download the Barcelona Zones Map PDF (178 KB). Much time and money was spent on transportation in order to create ours maps and confirm that all details are up to date. Nevertheless, feel free to contact us regarding any fault or defect, indicating the station name and we will correct it. This map was first created in response to the lack of proper signs in the metro stations, including those platforms. The official website of metropolitan public transport (ATM-TMB) in Barcelona, has been modified according to our updated map. In particular, the indication of accessible entrances. 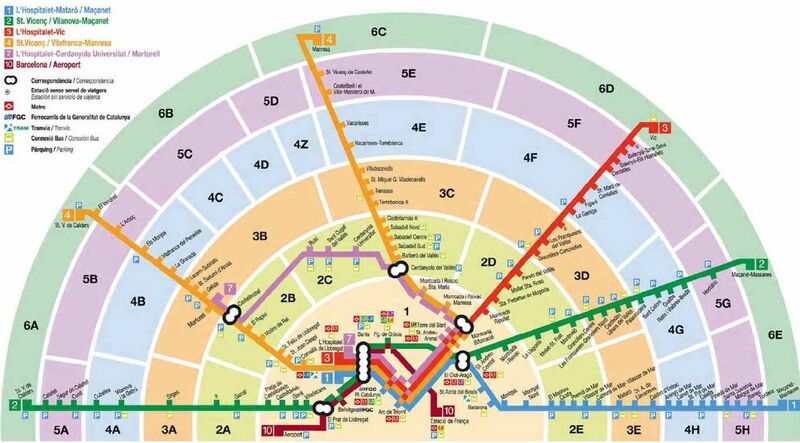 Unfortunately, however, the official map is still incorrect because some fully adapted subway stations are not indicated as such (as we have witnessed personally). Thank you very much for your visit, we hope that our Barcelona Metro Map has been useful to you. ITALIANO: Mappa della metropolitana di Barcelona 2019, in Din-A4, pronta per la stampa. FRENCH: Carte (plan) du métro de Barcelone 2019, DIN-A4, prêt pour l'impression. 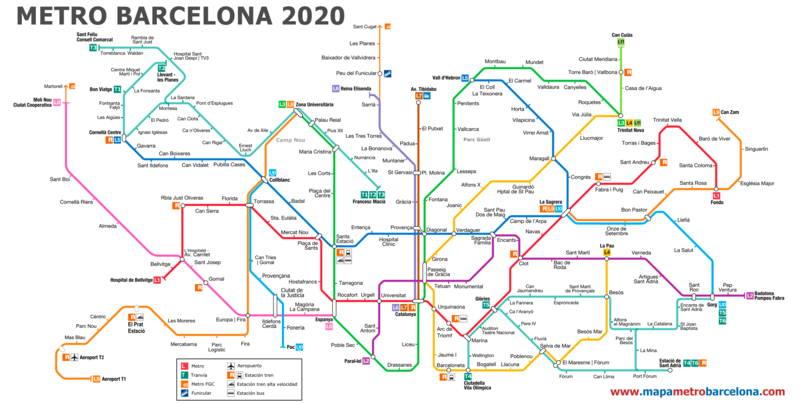 GERMAN: Barcelona U-Bahn Plan (Underground Barcelona Karte), 2019.